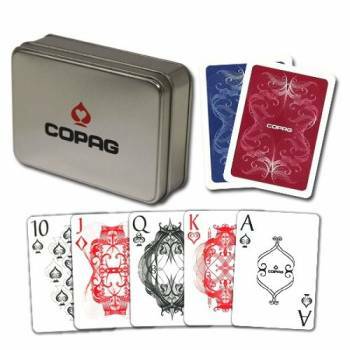 COPAG makes some of the best playing cards for poker on the market today. Mostly PVC, they are very durable, high quality and they come in a wide variety of faces, indexes and even single and double deck packaging. 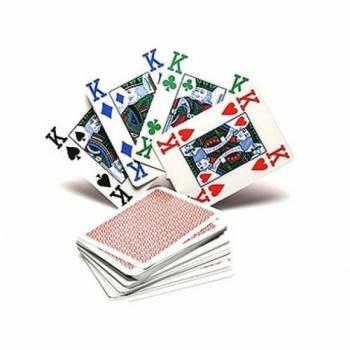 Below, you can find all COPAG playing cards we have available. 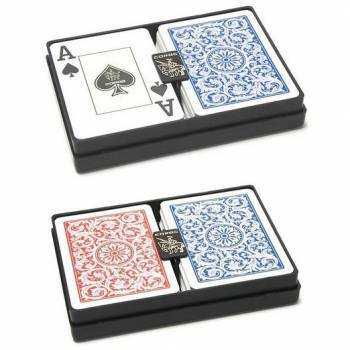 Een prachtige set double deck COPAG kaarten met een speciale index, en in een uitzonderlijke knappe luxueuze bewaardoos. 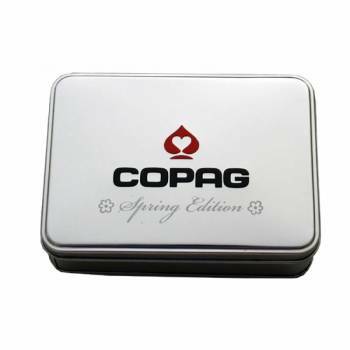 These beautiful COPAG special edition cards come in an awesome tin box and feature great indexes, perfect for community card poker. 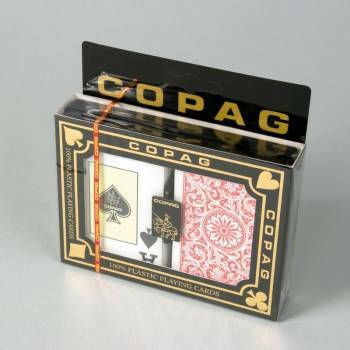 These "special edition" Centennial Decks by Copag are a real collector's item. 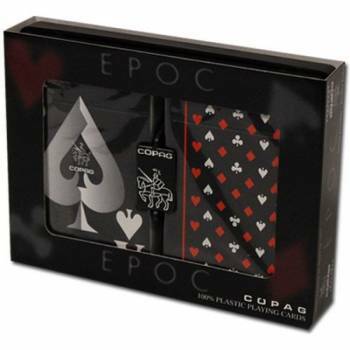 If you love innovative new design or indeed just want something new to liven up your game of cards, EPOC are for you! 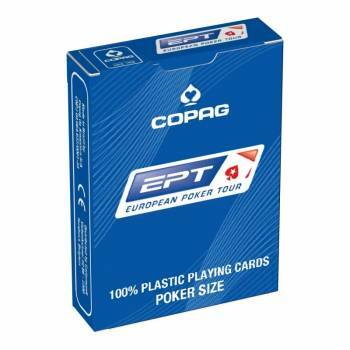 Beautiful design, poker size with Jumbo Index, the known COPAG quality and delivered quickly! 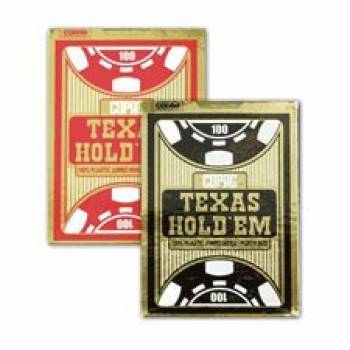 These 100% plastic Copag Texas Hold'em Cards with Jumbo Index are of the standard (excellent!) 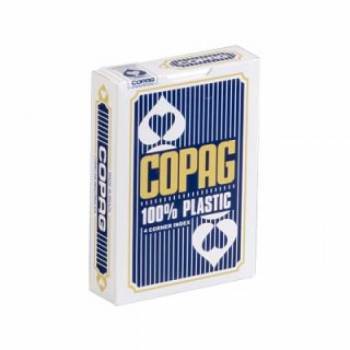 Copag quality, but are sold at a very competitive price! 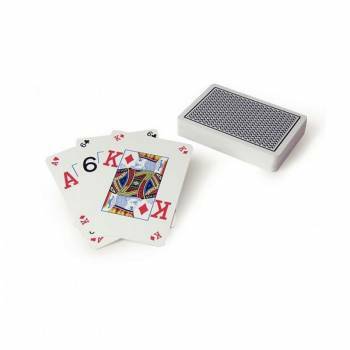 These special Texas Hold'em Silver Peek Index cards have what we call a Peek Index, which means they indicate in each corner, in smaller size, which card you're holding.